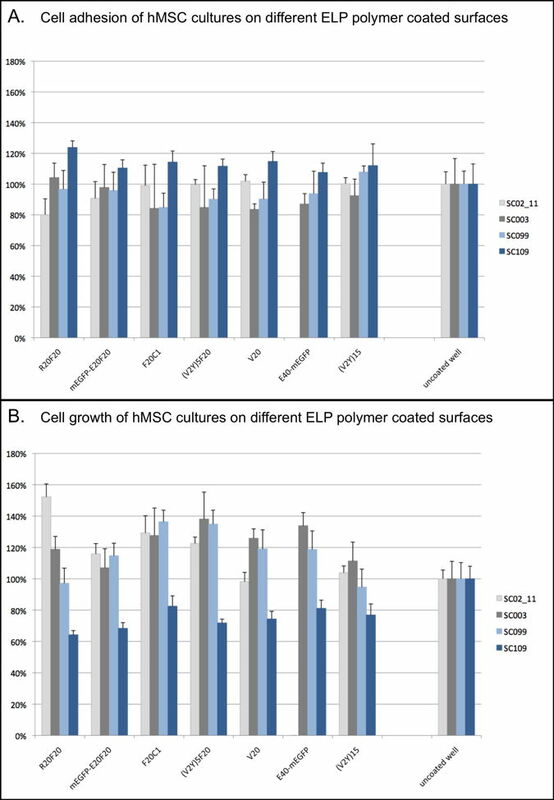 Comparison of cell adhesion and cell growth profiles of four different hMSC (human mesenchymal stroma cell) cultures on an ELP coated surface. 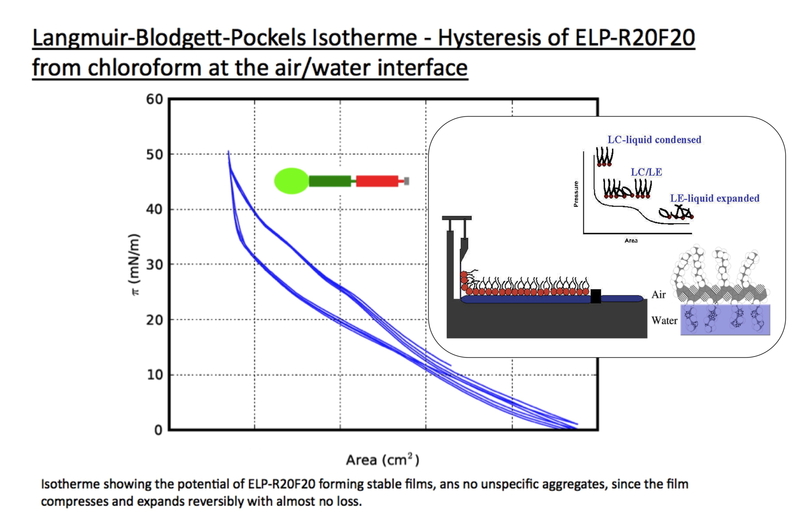 R20F20, mEGFP-E20F20, F20C1, (V2Y)F20, V20, E40-mEGFP, (V2Y)15 and uncoated well. after 4h by calculating the relative DNA amount of the adhered cells. 72h of incubation by calculating the relative DNA amount of the adhered cells compared to the DNA amount after primary adhesion was completed (4h). In the first column the protein-tectons used for the surface coating experiments on petri dishes were listed. 70% Ethanol and UV 250nm treatment and air dried. cells. Petri dishes were incubated with 7ml of culture medium for 1 hour and 1.2x106 cells/ml were released to each dish. Micrographs were taken after 4 days of incubation and percentage of coverage was determined manually. 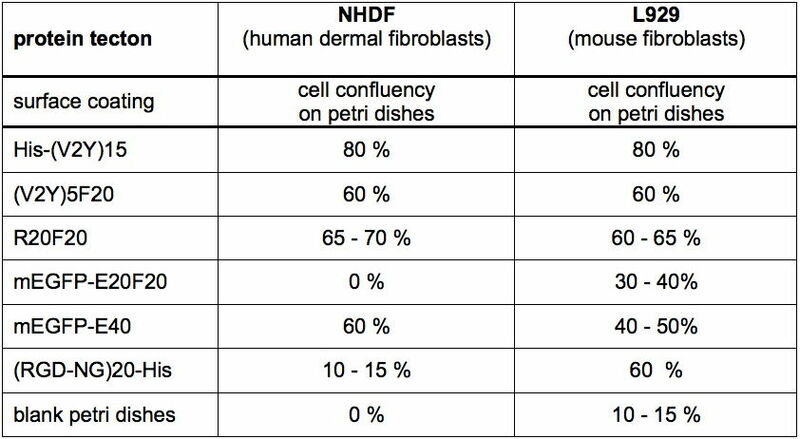 The third column show the results of cell adhesion experiments performed with L929 (mouse fibroblast) cells. Petri dishes were incubated with 7ml of culture medium for 1 hour and 0.8x106 cells/ml were released to each dish.